Exeter Storage Facility: A1 Removals are not only Exeter’s most recommended removal firm but also have a large, secure storage facility in East Devon. If you are between houses/offices/still waiting for completion or just need somewhere to store items, we can provide secure, dry storage units of various sizes. We have excellent storage facilities available at competitive prices in easy reach from all major routes in Exeter. 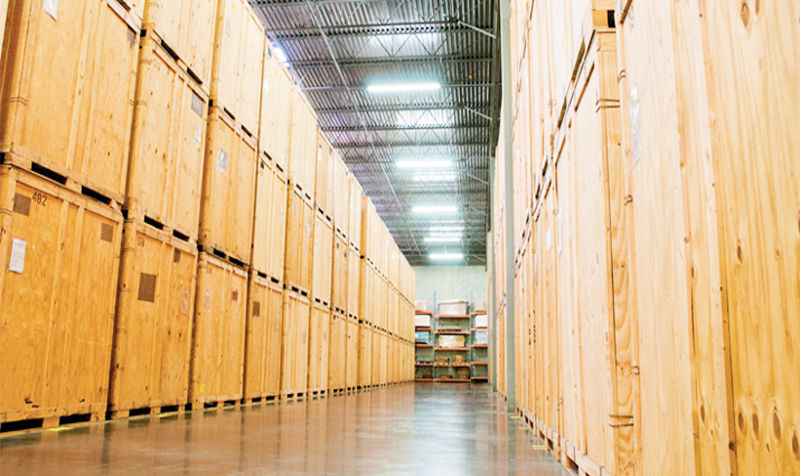 We offer a number of flexible storage solutions for all types of items and client requirements. From document and office archiving, to household items and tools, we have something to suit everyone. We pick up, and deliver your items as and when you need them making storing your belongings as stress free as possible. Warehouse, Container & Compound Storage available. Get in touch with our friendly team to find out what storage solution will suit you best. FRIDGE AND FREEZER. Remember to defrost your fridge and freezer when possible no later than one day before your move. Ideally you should run the contents of these down over the last couple of weeks before your move. APPLIANCES. Kitchen appliances such as fridges, freezers, dishwashers and washing machines must be disconnected and drained, and be in a dry condition before the removal team arrive. GARDEN TOOLS AND EQUIPMENT. Ensure that any petrol driven equipment has been drained of fuel well before the move. ELECTRICAL ITEMS. Disconnect all televisions, videos, music systems, DVDs, computers etc. and mark the cables for easy re-connection.